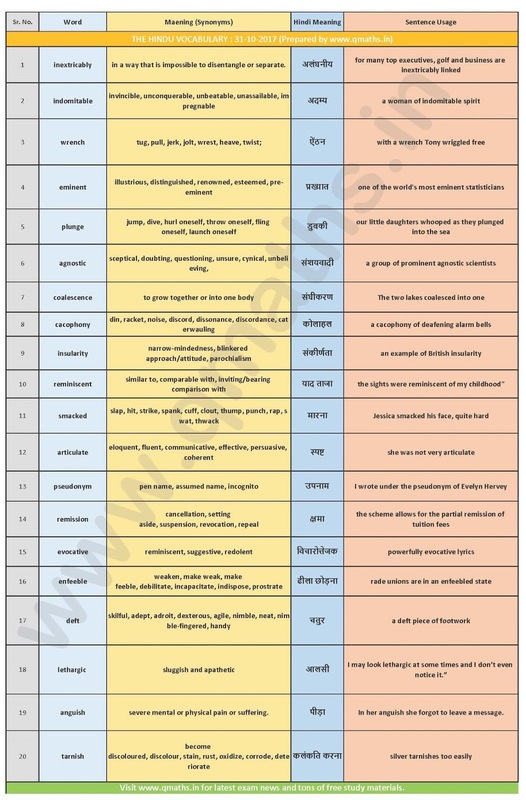 Team Qmaths has started a new initiative THE HINDU vocabulary. We hope that you will like this initiative of ours. You may comment your suggestions on comment box below. Keep visiting keep studying.